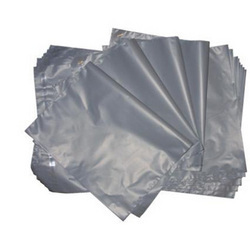 We manufacture Industrial Plastic Bag that are made available in a variety of sizes, designs and colors. These are offered in printed and plain as well as transparent and opaque varieties. Our bags can be used for carrying household articles, electrical gadgetry, garments, toys, stationery, compact discs, drugs, appliances, cutlery and chemicals. Further, these can also be used for carrying imitation jewelry, perfumes, food & beverages, medicines and dyes. We also offer custom-designed bags that are durable, reliable and economical. Our company offers plastic bags, which are manufactured from high quality polyethylene materials that provide them unmatched strength and durability. These bags are precisely printed and designed according to the requirements and specifications of our clients. These are available at most competitive prices. Established in the year 2006, we, “Sankalp Polypack”, are engaged in manufacturing and supplying a comprehensive range of HDPE/PP Packaging Bags, Plastic Packaging Bags, Plastic Grain Bags. In this product range, we offer PP Packaging Bags, Pulses Packaging Bag, Pulses Plastic Bags, Wheat Packaging Bags, Flour Packing Bags, Atta Packing Bags, Rice Packaging Bags, Agriculture Packaging Bags, Fertilizer Packaging Bags, Agricultural Seed Packaging Bags, Pesticide Packaging Bags, Fungicide Packaging Bags, Sugar Packaging Bags . These are manufactured using HDPE/PP material. Quality attributes such as excellent strength, durability, perfect stitching, Eco-friendliness and tear resistance make our packaging bags hugely demanded in the market. Moreover, we make our packing bags available in various sizes, thickness, finishes and designs to cater to the variegated requirements and preferences of clients. Manufactured using premium quality and biodegradable raw material, these bags can also be offered in customized specifications. Offered in various colours as well as prints, these packaging bags have been efficiently catering to the retail sector.